Raleigh, NC, January 30, 2014 –(PR.com)– Whispering Hope Sporthorses is pleased to announce the availability of two Dressage Horses for sale that have been trained by Raleigh’s Top Dressage Trainer, Laurie Hutchinson. 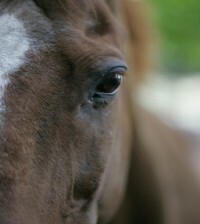 Ms. Hutchinson is based in Raleigh, NC at Whispering Hope Stables. 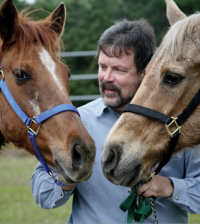 Whispering Hope Stables is Raleigh’s best boarding facility that provides a facility that matches no other in the area and a community of equestrians of all levels that have come together to enjoy the peaceful sanctuary that Whispering Hope has to offer. Whispering Hope Sporthorses, which is based in Raleigh, NC was developed to create a thorough and systematic process for providing exactly what demanding horse enthusiasts and professionals need – a partnership between the Peters family of Whispering Hope Stables, experts in the field of formulating business solutions that bring reliable success, and Laurie Hutchinson – an FEI dressage trainer and USDF gold medalist. 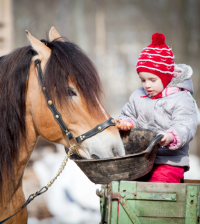 The result is that Whispering Hope Sporthorses takes the guesswork out of the equestrian investment. “Safe and sound is a phrase too often used, but chosen based on sound mind and body, our horses come to us through a select network of reputable professionals with proven success at the highest levels within the equine sport. We buy only bloodlines featuring generations of success in international competition and only after extensive vetting and clean x-rays,” says Laurie Hutchinson. Veva Rose, a stunning black 2003 Gribaldi/Sultan mare imported from Holland finished 9th in the USEF Developing Horse Grand Prix in 2012 and 2013. After a successful first year of Grand Prix resulting in NCDCTA Grand Prix Horse of the Year, Veva Rose is ready to succeed in the CDIs. She is safe for amateurs and with professional riders she has unlimited potential for US Team competition. Whispering Hope’s Hugo Boss is a 2006 Dutch Harness that has good looks- an unusual chocolate-colored liver chestnut with four high socks and a stripe. Only his incredible uphill movement and talent for piaffe/passage match his good looks. His loving personality makes him a favorite in the barn while his movement and presence have already developed a fan base of top trainers and judges at the shows. “Hugo Boss will be ready for the Developing Horse Prix St. Georges in the spring and is schooling all of the Grand Prix,” says Ms. Hutchinson. These horses both represent the Holy Grail of dressage: talent for any level of work, complete soundness of body, and most importantly, the soundness of mind that makes working with them an absolute joy. Whispering Hope Sporthorses was created with the possibility in mind that every horse buying experience should be this good. If you would like to learn more about the Whispering Hope Sporthorse Sales program or their horses for sale, then please contact Whispering Hope Stables’ at (919) 851-6237 and ask for either Amy Peters or Laurie Hutchinson.